A change from one genetic letter (nucleotide) to another. Variation in DNA sequence gives rise to the incredible diversity of species in the world, and even occurs between different organisms of the same species. 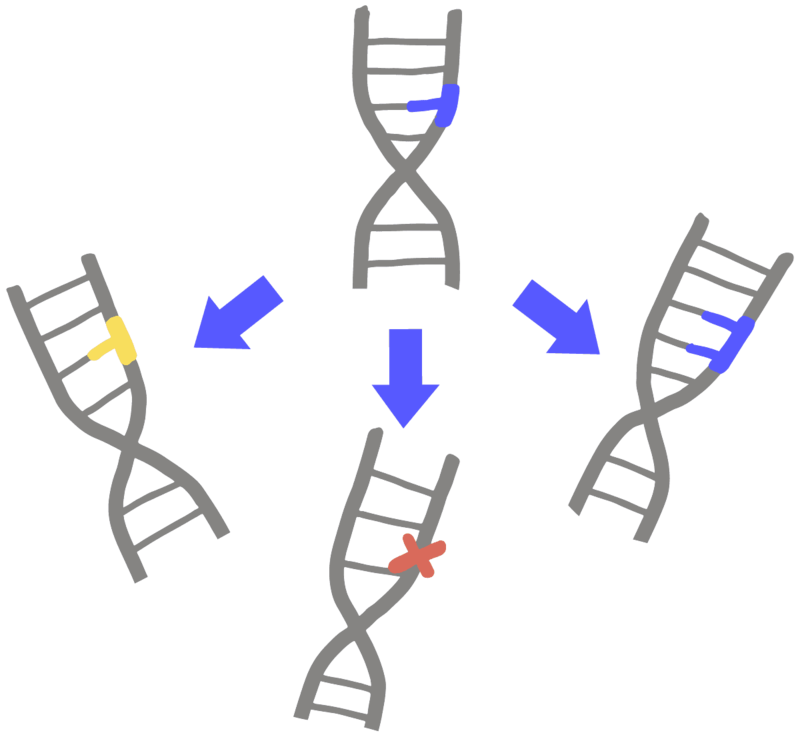 While some mutations have no consequence at all, certain mutations can directly cause disease. Mutations may be caused by DNA-damaging agents such as UV light or may arise from errors that occur when DNA is copied by cellular enzymes. They can also be made deliberately via genome engineering methods.